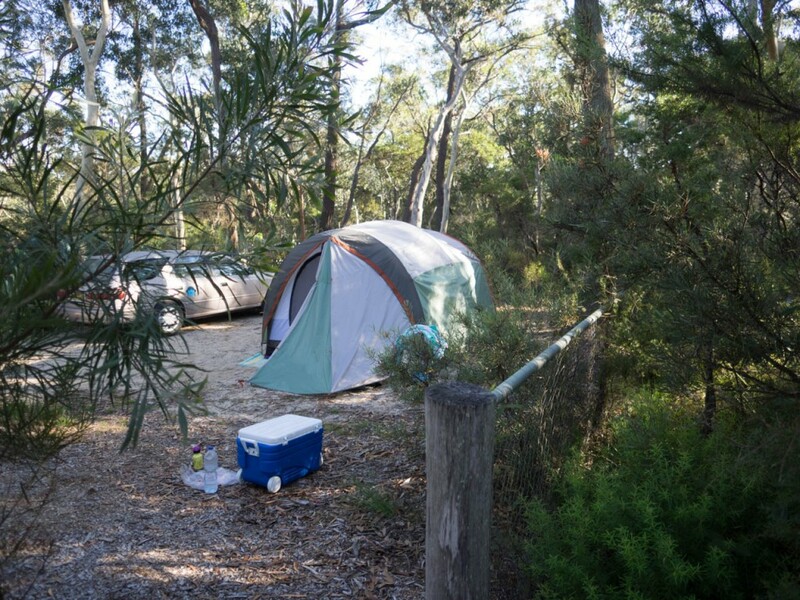 1.5 hours drive from Sydney sits Gambells Rest, a campground with only 10 sites but great amenities. 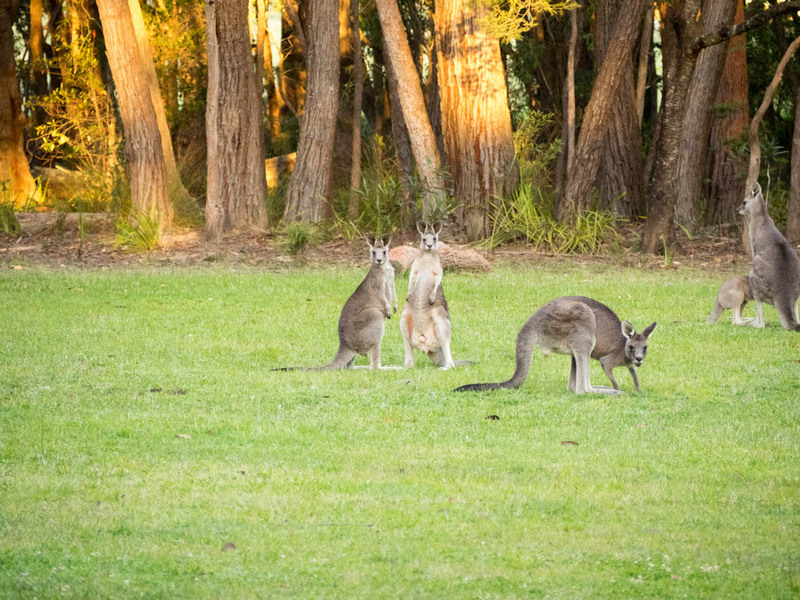 Is it the perfect weekend bush hideaway for families? I think so. 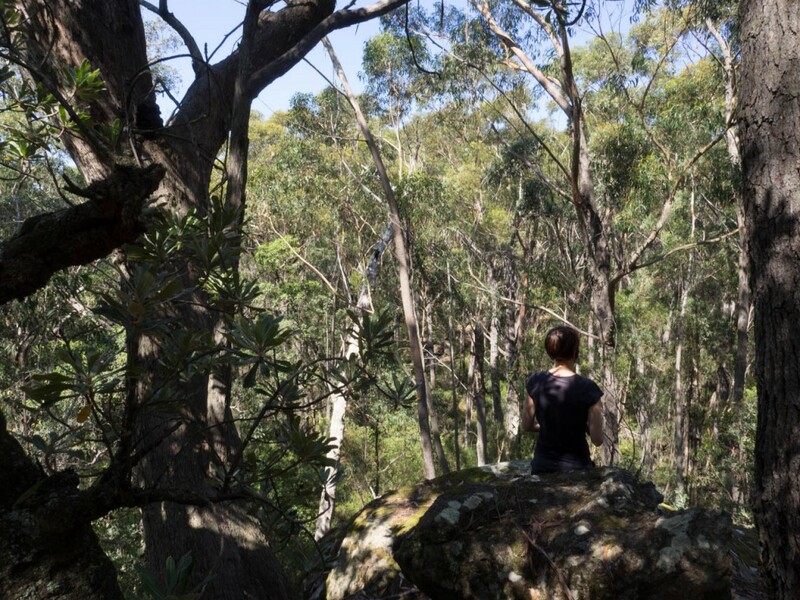 Gambells Rest is a little bush oasis that looks, on the map, like it’s right in the middle of Bundanoon, a small Southern Highlands township at the northern end of the sprawling Morton National Park. 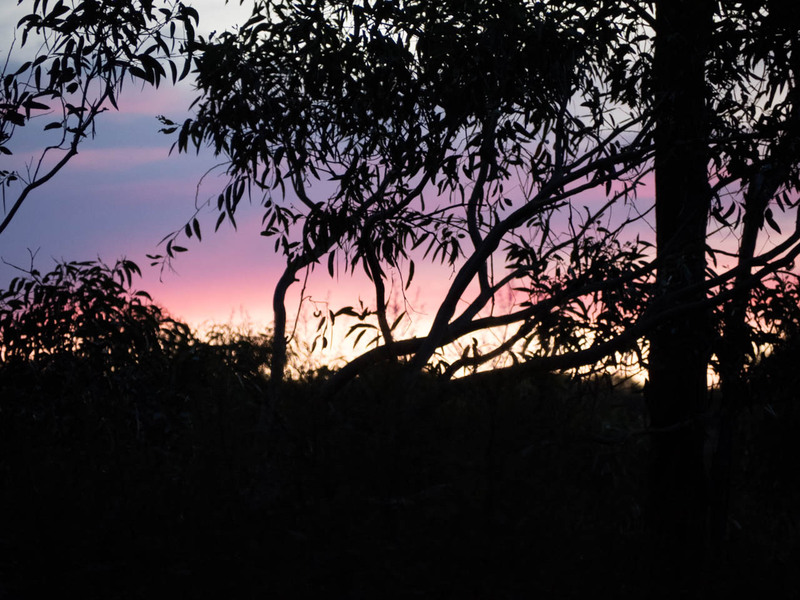 But a 5 minute drive from the town centre is all it takes to enter the park – and another world. The massive, covered picnic shelter is one of the best things about Gambells Rest, Morton NP. We ate all our meals there and it would make a great refuge in wet weather. Despite its proximity to civilisation, once past the park boundary, you are in rugged escarpment country. 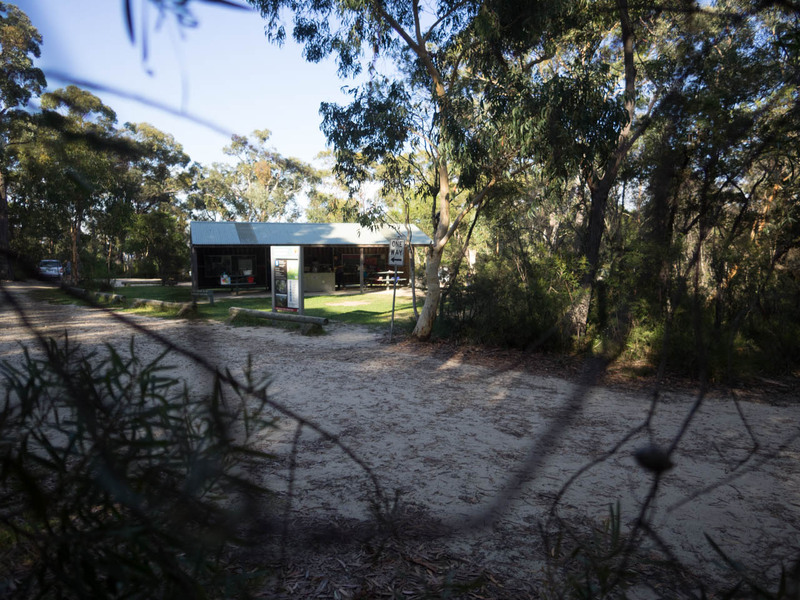 The campground is comprised of 10 sites arranged around a large, central (and very handy) picnic shelter complete with tables, BBQs and sinks. This layout provides a lot of privacy – apart from your immediate neighbours, it’s like you have the place to yourself. 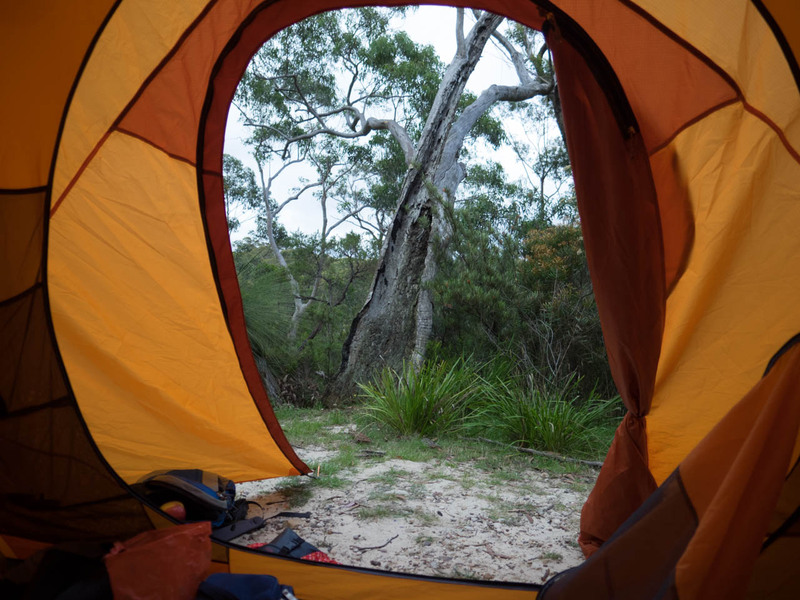 Even better, most of the sites back straight onto bush: position your tent entry right and it will feel like you are waking up in the middle of a truly wild place each morning. The central picnic area is perfect for children to run around on and form their own little tribes while parents read the newspaper. At times, it was as if they had set up their own playgroup: I just love taking kids outdoors and watching them express themselves with minimal supervision or intervention. I’ll do a write up of some of these at a later date. Both times we’ve had perfect weather though the temperature does drop at night (which is a good thing given the heat in December!) so be prepared. 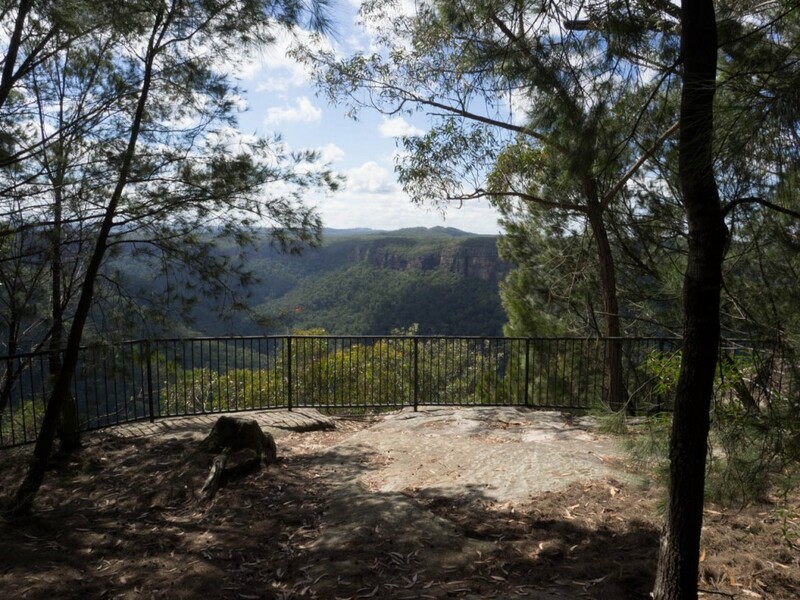 That’s because the campground is at an elevation of 675m – by comparison Lawson in the Blue Mountains is at 732m. On our group trip, in particular, the first night dipped below 10 degrees catching out everyone who had brought summer sleeping bags or light quilts. My partner had a good sleeping bag but didn’t take a thick enough fleece jacket. Campsite 9 (with REI Kingdom 6), Gambells Rest, Morton NP. I provided extensive “tent consulting” to help Sarah and Miles buy this beauty. On our second trip, Jane, Marilla and I were joined by old friends Miles and Sarah (with their daughters, aged 2 and 5), and Paul and Annie (with their daughters, aged 2 and 4) for a 2-night, weekend getaway. We were all relative novices when it comes to family camping and this trip was everyone’s first with other families. The trip down was pretty stressful, negotiating Friday afternoon departures and mid-week packing. A cold first night didn’t help. But once we had woken to a crisp, clear morning I was amazed at how quickly we settled into the natural rhythms of camping life. 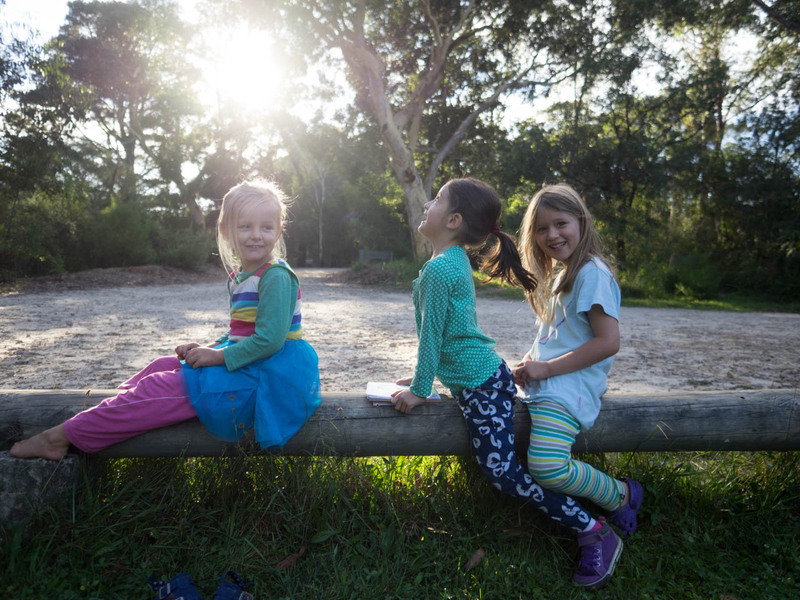 After a walk to Michael Morton lookout in the morning, we lazed around the campground, chatting and drinking coffee while the children entertained themselves. Once the children were asleep (later than usual of course), we shared wine, chocolate and tea around a camp table. 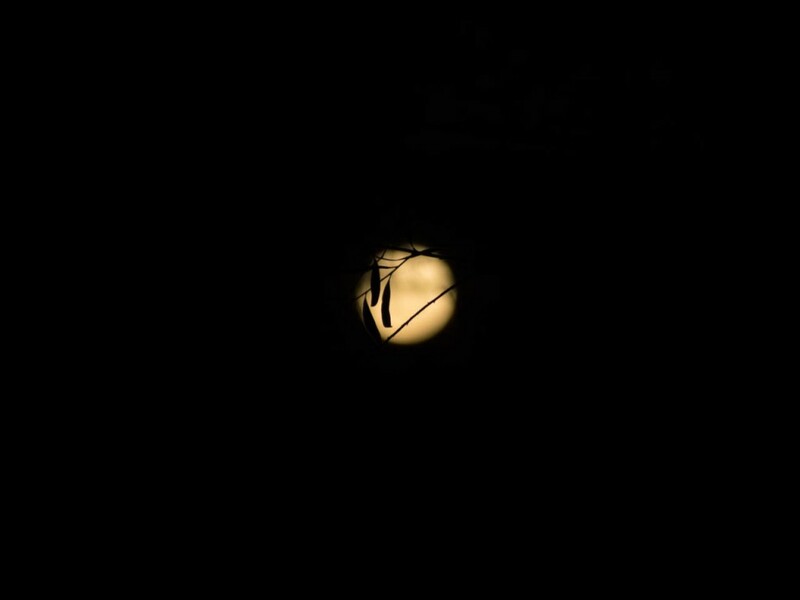 Soon, a full and preternaturally yellow moon rose from the east; we switched off head torches then talked and laughed late into the night – something we hadn’t done together for years. It was everything I had hoped for from the trip. 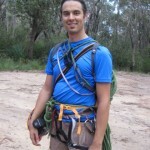 And yes, we’ve already booked in the next one (this time to Bonnie Vale in Royal National Park). Hi Elena – sorry for slow reply. Have been off duty with the blog lately. Gambells Rest is a fantastic spot and now would be a great time to check it out! Not too hot, not too cold.